3. 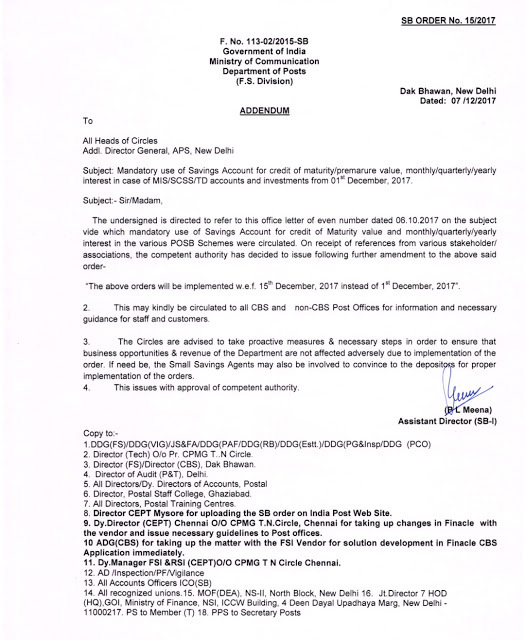 No Postmaster Cheque should be issued against any closed account/certificate and if any depositor attends post office for closing of any account not having linked SB Account by that date, a BASIC SAVINGS ACCOUNT should be opened under this same ClF on the same day without asking for separate ACCOUNT OPENING FORM (AOF) by selecting SBBAS as scheme code. and account should be closed and closure proceed should be credited to that SB account.